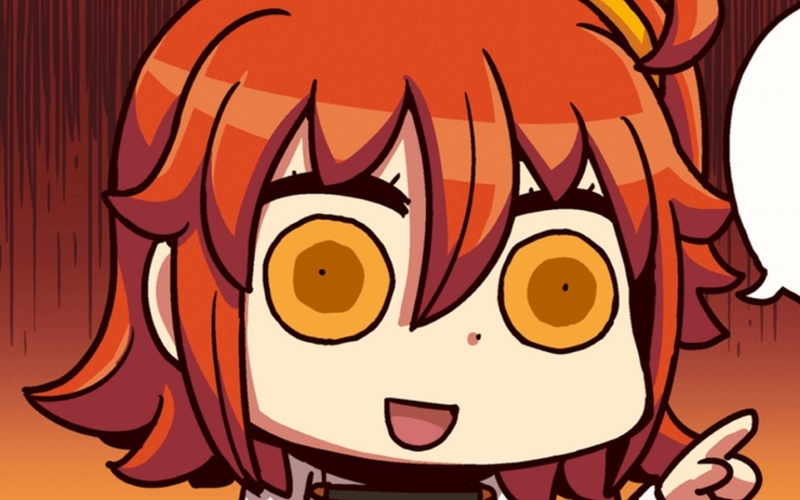 Fate/Grand Order's big Christmas event was a silly, generous diversion from the game's usually serious story about restoring human history with the help of the ghosts of heroes from across time and space, but now this train ain't stopping until the end. And though Aniplex debuted the main campaign's seventh "Singularity" chapter, Absolute Demonic Front Babylonia, barely ten days ago the Masters of Chaldea have just under a week left before the next Singularity, The Grand Temple of Time: Solomon opens on December 20th. The pace is definitely a change from the old pattern, where months would pass between new story additions, so why the sudden rush? The issue is that Solomon, as the final chapter of the current narrative, is a bit different from the regular campaign chapters. This time it's a hybrid of campaign and limited-time event, featuring a number of high-end raid-class battles that give generous rewards but only appear for a short period. It even features a mechanic to empower players that have spent a lot of time leveling friendship bonds with their favorite characters. To encourage Masters to goose their story progress, Aniplex is also offering plenty of AP-restoring Golden Fruit to let players temporarily ignore the game's "stamina" system, as well as promising a reward of 30 Saint Quartz (enough for 10 rolls on the premium summon) to anyone who finishes Babylonia before the Solomon update drops on December 20th, 20:00 PST. Considering that that much Quartz would cost at least $25 to buy from the store outright, it's a good deal if you can make it. In any case, the end is in sight for (this part of) Fate/Grand Order, and it looks like they want to make sure as many people as possible are ready to meet it. In the meantime, check out a quickie trailer for Babylonia below, featuring banner Servants King Gilgamesh (a Caster this time), his best bud Enkidu, Ishtar (who debuted at Christmas), Quetzalcoatl (my new favorite Rider), two new versions of Medusa, one short and one even taller than she already is (like, way taller), and finally, Merlin, the Arthurian wizard that practically redefines the FGO meta upon his arrival with the New Year's banner.